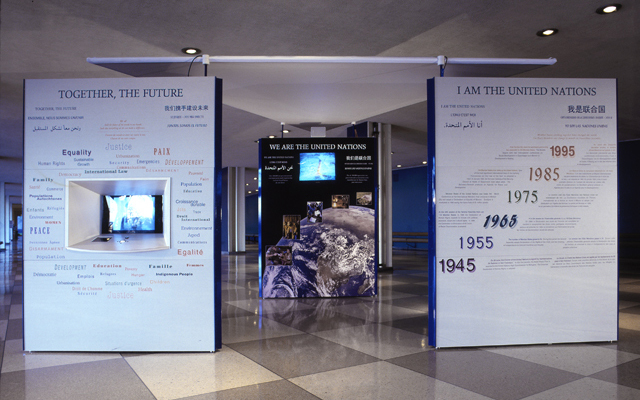 For the 50th Anniversary of the United Nations, Whirlwind designed a modular exhibit depicting the history of the United Nations peacekeeping efforts and international economic developments. 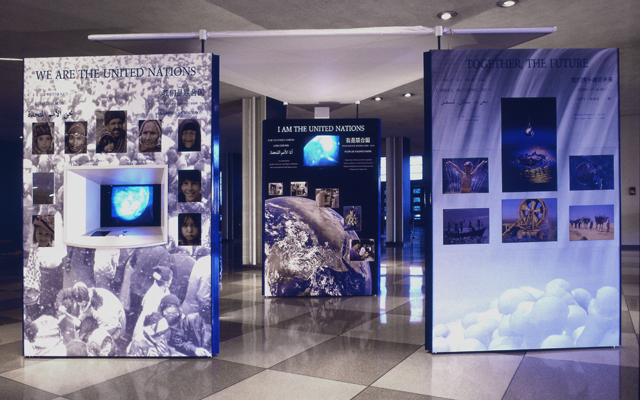 This multi-lingual exhibit with interactive programming was replicated 30 times and distributed to participating countries throughout the world as a way to reach the widest audience possible. Three modular kiosks, connected by a fabric canopy, created a walk in experience where video monitors projected a 6-minute show entitled Countdown to the Future. 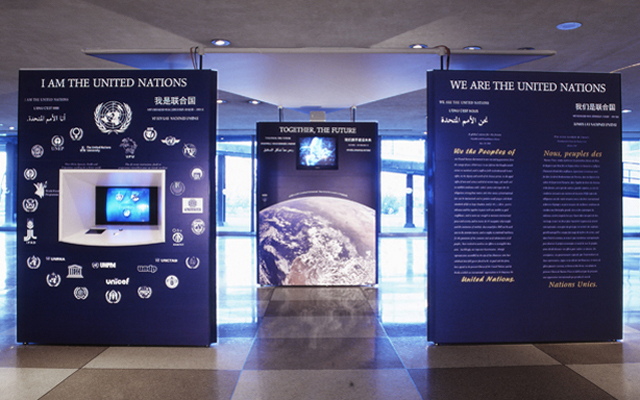 On the exterior, three interactive stations allowed the viewer to access 17 video segments about the United Nations.